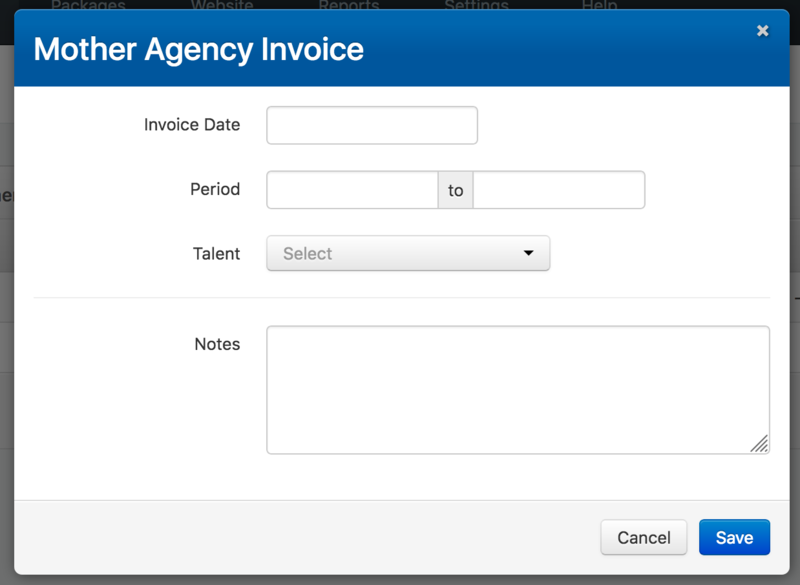 Important note: In order to create your Mother Agency invoice, you first need to assign talent to a placement agency. Find out how to do this here. 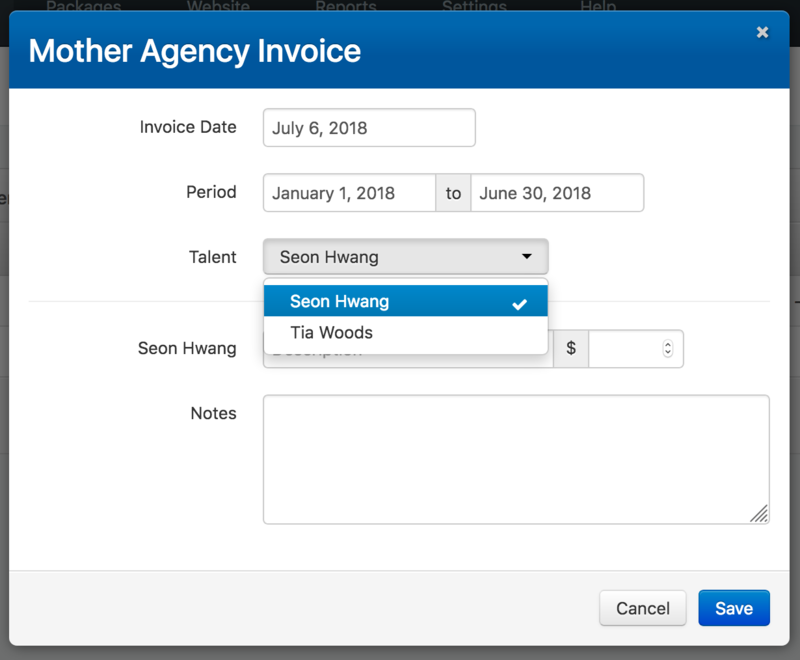 Once you have added an Agency to a Talent profile, when you go into that Agency's Contact profile, you will see a Talent tab and a Mother Agency Invoices tab. Click on the Talent tab to view talent listed with this agency. 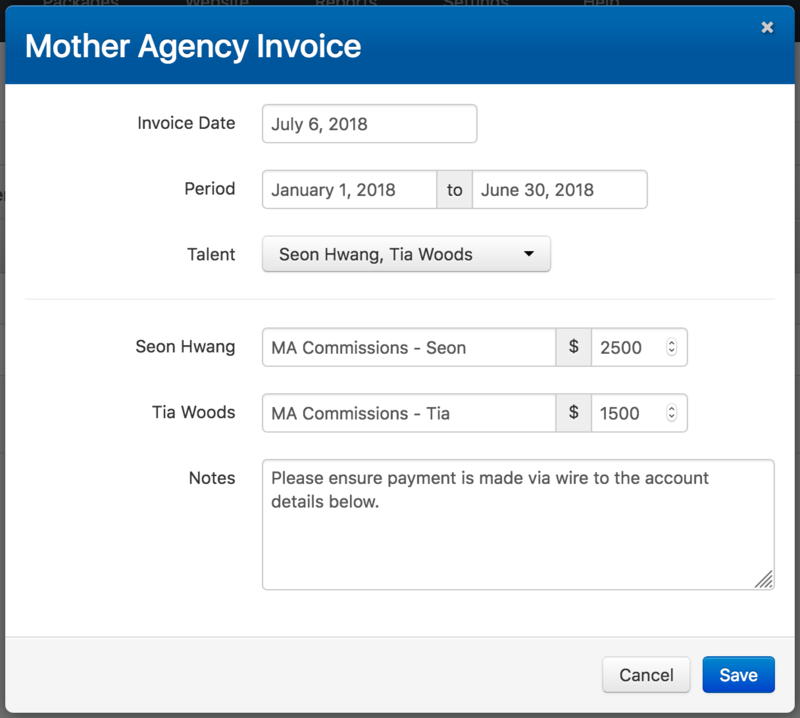 And click on the Mother Agency Invoices to view past and create new Mother Agency Invoices. Once you have selected the talent, enter the Description and Amount for each. These will appear as line items on the invoice. Any text entered in the Notes field can also appear on the invoice. 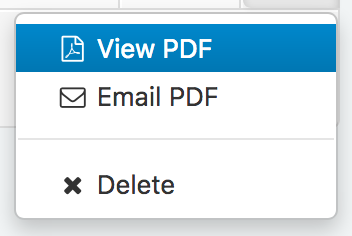 Once the invoice has been created, you can click the dropdown menu to the right of the invoice row, to View or Email a PDF of the invoice. 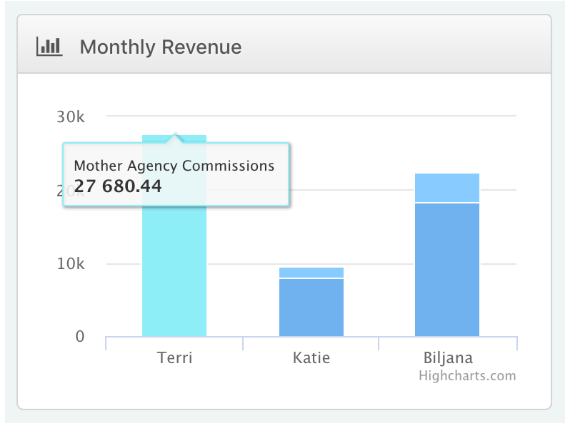 Once you have created and Saved the Mother Agency Invoice, the revenue will appear on your Dashboard chart for Monthly Revenue in a lighter shade of blue.